Hello everyone! Today you will see my old mod. 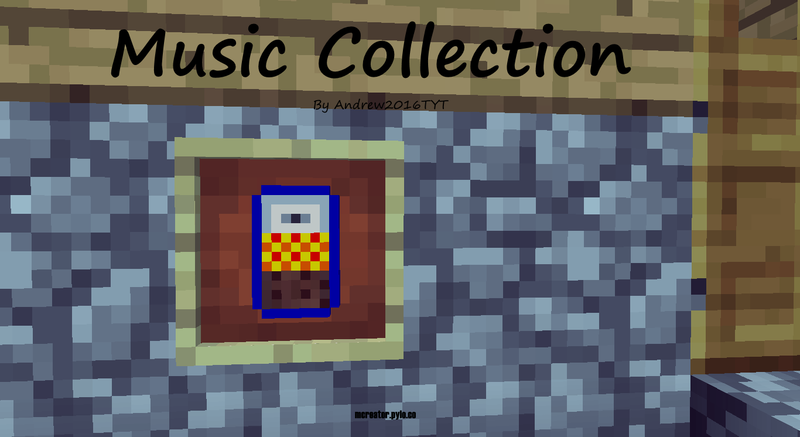 It adds music collection in Minecraft. But due to the fact that it takes more than 60 MB, and on the website, you can download fashion no more than 15 MB, I'll give you a link to the mod. The mod was created longer than 4 hours. make a better picture for your mod please! @#4 Cool! Will replace in the next version of the mod. Oops! The second version of the mod is not working:*( .The patch will be released tomorrow.